Thanks for coming onto our newly published website, we aim to constantly keep updating you all with new helpful tips and advice about hair care. 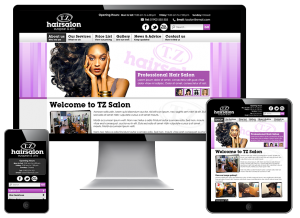 Please let us know what you think of the website and tell us if you feel there are any areas you think we could add, as here at TZ Hair Salon your opinions matter. Well you have really done yourself proud. Excellent information simple to understand & cover a wide range of advice & ideas for everyone.